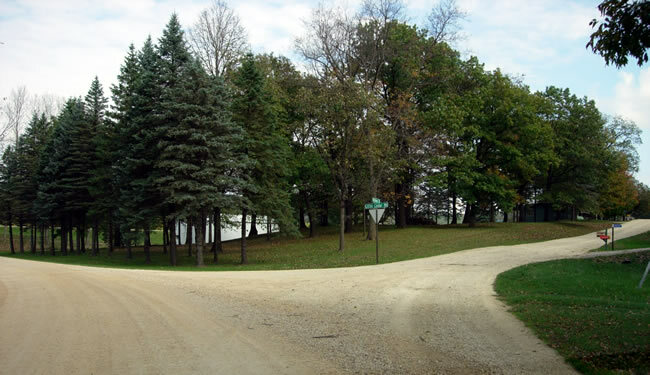 Highway Drive and Little Cedar Road between Homer and La Moille were once part of one Minnesota's first paved highways, an 8 foot concrete road between Winona and La Moille, constructed in 1913/14. 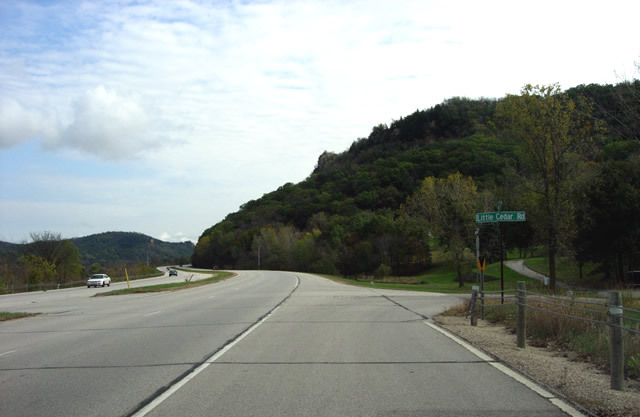 The surviving section is accessible from modern U.S. 61 from Little Cedar Road, the first turn-off south of Winona County Road 9. 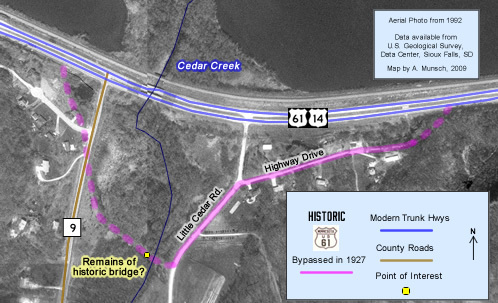 The 8 foot concrete road constructed in 1913/14 was one three constructed in the Winona area, the other two being along the future alignments of U.S. 14 and State Highway 43. 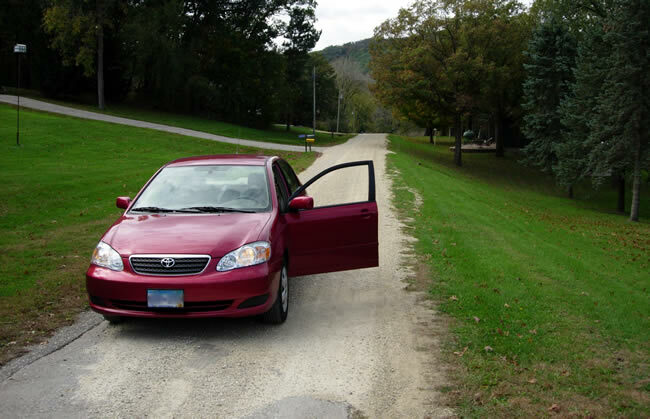 The roads were generally graded to twenty feet wide, with 8 feet of concrete pavement in the middle, and 6 feet of gravel shoulder on each side. Construction was funded under the provisions of the Elwell Highway Act of 1910, which created a funding scheme that split the cost of highway construction between the state, counties, and local authorities. Roads built under this act were known as "State Roads", a designation that would persist until the trunk highway system was created by the Babcock amendment in 1920. The construction of these roads was marred by difficulties. The original contractor, Carlton and Prinz of Minneapolis, forfeited their construction contract when they were not able to complete the roads by the end of 1913, citing labor difficulties. The paving was completed by the firm of Hanlon and Oakes in 1914. 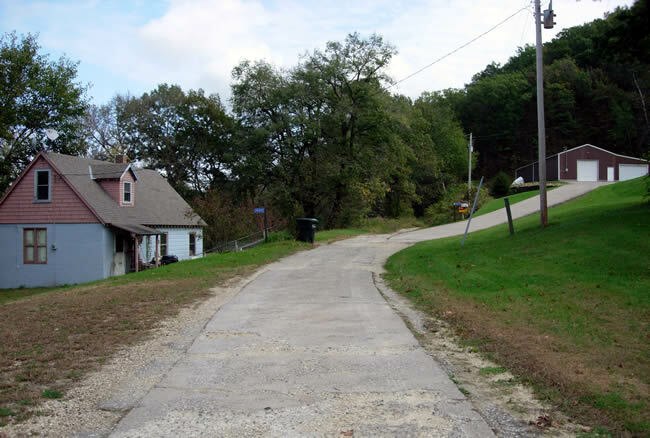 Part of the old highway, now cleverly labeled as "Highway Drive", is still used as a residential street. 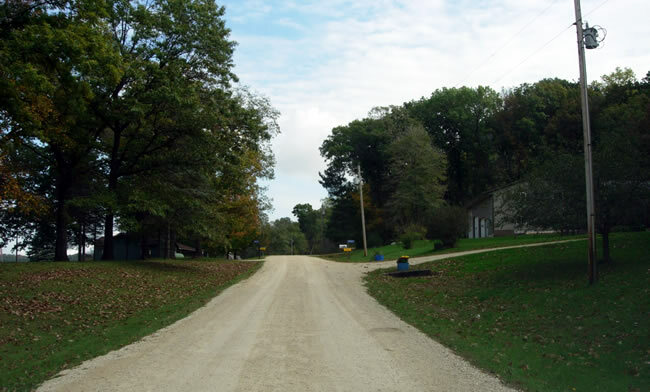 Although most of the road has been covered with gravel, the old pavement becomes exposed towards the eastern end before disappearing into the woods. Part of Little Cedar Road also uses the old alignment, but has been widened. Finally, a clearing in the woods between Little Cedar Road and County Road 9 marks the path of the old alignment. The pavement is either gone or buried, but what appear to be the remains of a bridge are visible. 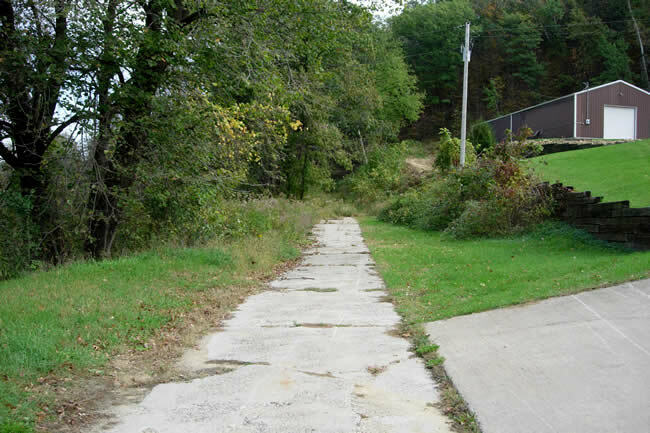 Reconstruction of County Road 9 has wiped out the western end of this historic alignment. Modern U.S. 61/U.S. 14 at Little Cedar Road, looking south. Little Cedar Road is marked as Homer Township Road 5. This is one of the only places I have ever seen a township road marked. Looking northeast at the intersection of Little Cedar Drive and Highway Drive (on the right). 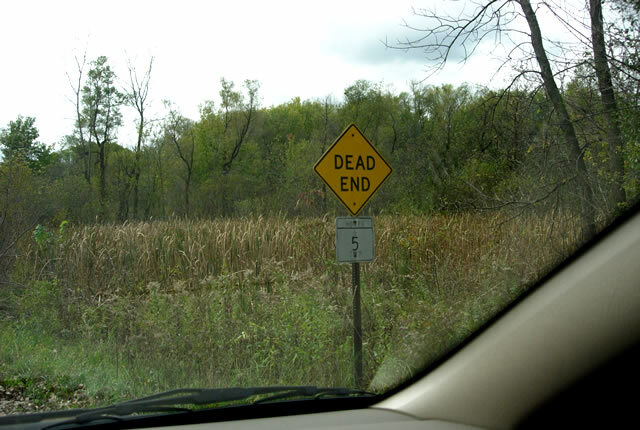 Note the curve to the right, which implies the path of the old highway. Looking northeast up Highway Drive. The old pavement has been covered here with gravel. Looking west on Highway Drive at the point where the old pavement emerges from under the gravel. Note how narrow the pavement is in comparison to a modern car! Looking east on Highway Drive at the exposed 8-foot wide pavement, still around eighty years after being bypassed. Looking east again on Highway Drive where the old pavement disappears into the woods. 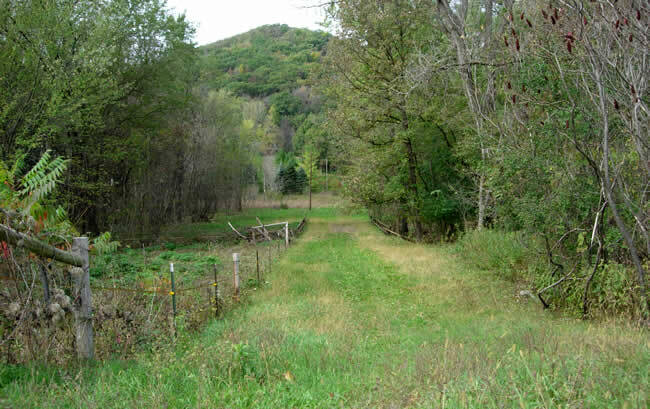 Looking west from Little Cedar Road at the clearing that marks the path of the old highway. The rails of what might be the original bridge over Cedar Creek are visible in the center of the photo.